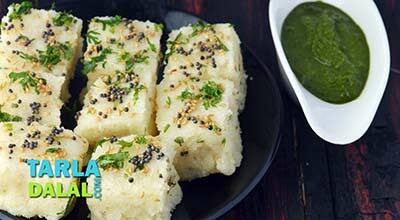 The Bread Dhokla is a quick-fix dhokla that is easy, convenient and tasty. 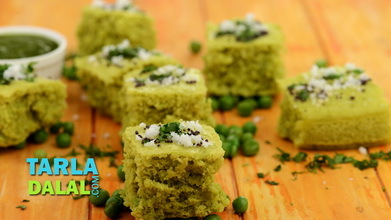 Made with a batter of bread crumbs and rava perked up with the usual flavour-givers like green chillies and ginger, the Bread Dhokla tastes so good and so much like the authentic dhokla that nobody can guess that it is made of bread unless you tell them. 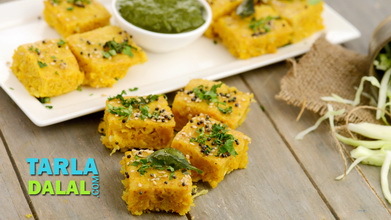 A traditional tempering adds to the authenticity of the dhoklas making it very appealing. 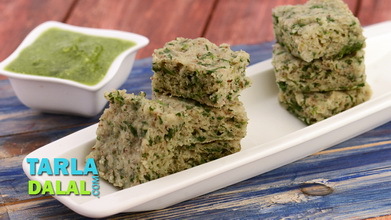 Make sure you serve it immediately with green chutney to enjoy the nice, soft texture. 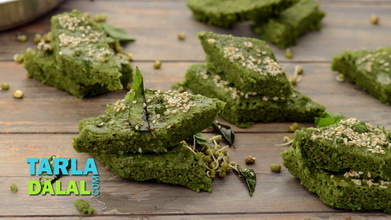 Combine bread crumbs, semolina, curds, ginger-green chilli paste, chilli powder, ½ tbsp oil, salt and ½ cup of water in a deep bowl and mix well. 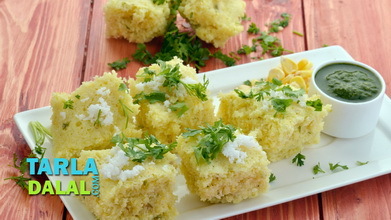 Cover it with a lid and keep aside for 15 minutes. 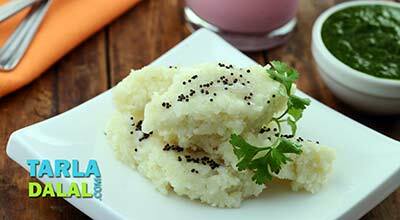 Just before steaming, add the fruit salt and add 2 tsp of water over it and mix gently. Pour batter in a greased 175 mm. 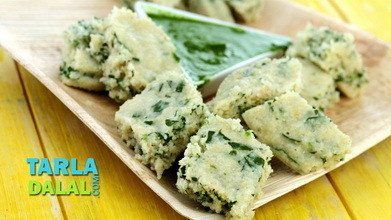 (7") diameter thali and spread it to make an even layer. 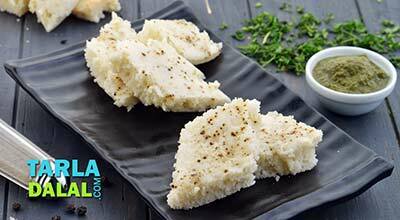 Steam the dhoklas for 12 minutes or till the dhoklas are cooked. Cool slightly. 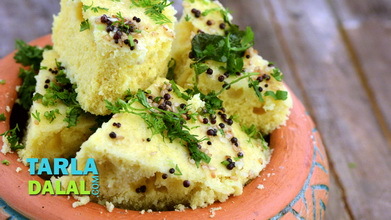 Pour this tempering over the prepared dhokla and cut into square pieces.